I was extremely excited for this post because my Cavalier King Charles, Tucker is pictured above. He won't sit still whenever I attempt to take his picture, so I had my sister Sam take the picture and it was perfection. 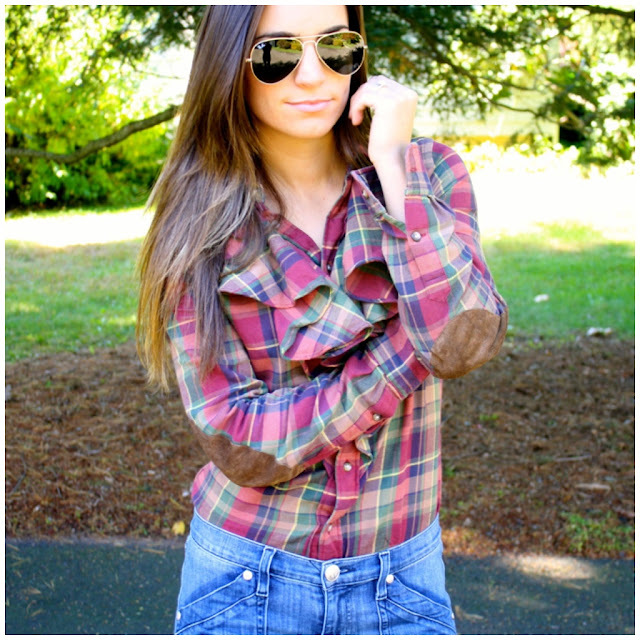 This ruffled plaid and suede button down from Rugby Ralph Lauren is what I wore to "The Hunt" last year paired with jeans and hunter boots. I covered style tips for the annual Far Hills Steeplechase race when I first started bop on trend and you can check them out here if you are partaking in the festivities!